When you lose a tooth, your first priority should be to replace it (with the exception of wisdom teeth, which are routinely removed to avoid problems). The empty spaces along your dental ridge can impact your smile’s appearance, and therefore your overall confidence. Yet, the most significant consequences of tooth loss involve the eventual degradation of your oral health as remaining teeth shift out of place and your jawbone loses some of its density. With a custom-made dental bridge, partial denture, or complete denture, we can rebuild your smile and secure the future of your oral health. A dental bridge literally closes the gap left in your smile by a missing tooth, or up to three missing teeth if they’re adjacent to each other. The bridge consists of the appropriate amount of replacement teeth, or pontics, that are custom-made to closely mimic healthy, natural teeth. The pontics are supported by dental crowns that are bonded to the teeth next to the gap in your smile. Dentures are designed to address more severe cases of tooth loss than dental bridges can, including complete tooth loss on one or both of your dental ridges. 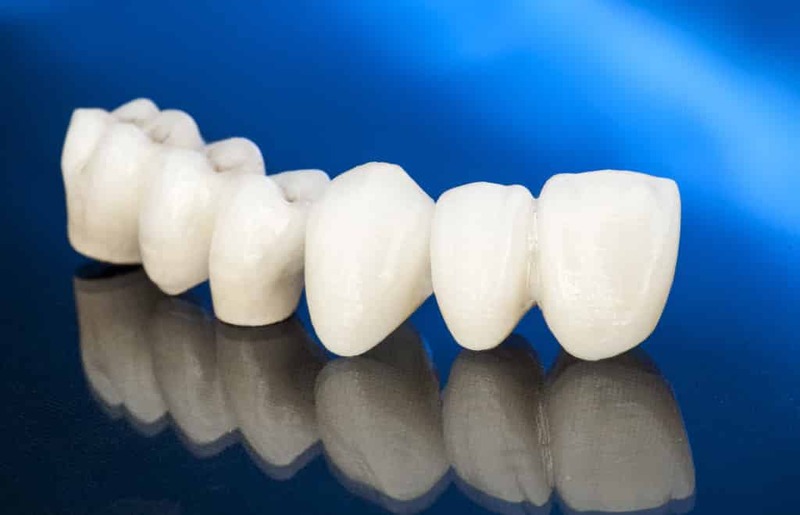 Complete dentures consist of an entire row of replacement teeth, usually made from durable dental porcelain and supported by a comfortable plastic base. Partial dentures are more appropriate when you’ve lost several teeth that are not adjacent to each other, yet still retain a number of healthy, natural teeth. Partial dentures, or partials, possess a gum-colored base like complete dentures, but slightly smaller. The replacement teeth a partial supports are situated according to your unique pattern of tooth loss, fitting around the teeth that remain on your dental ridge. Whether you need a dental bridge, partial, or complete denture, you may benefit from choosing to support your replacement teeth on one or more dental implants. The small prosthetic teeth roots are made from biocompatible titanium, and are inserted into the jawbone to support your denture or bridgework. The implant posts provide unmatched stability as you bite and chew, and can help you preserve the strength of your jawbone.